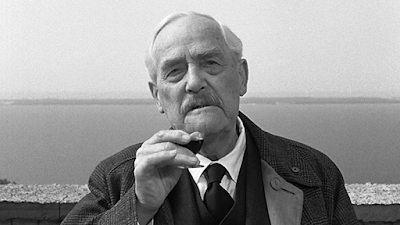 In many regards, Swedish film owes a lot to Victor Sjöström; actually, scrub that. Film in general owes a mother-load to Sjöström because the man was a pioneer of cinematic creation, technology, techniques and aesthetics. Sjöström wasn't merely content to make a movie, he wanted to do so much more by incorporating his actors deep into the process because he himself was a thespian. In a sense, the man was a director's director AND an actor's actor. That is honestly a golden note in a red symphony. 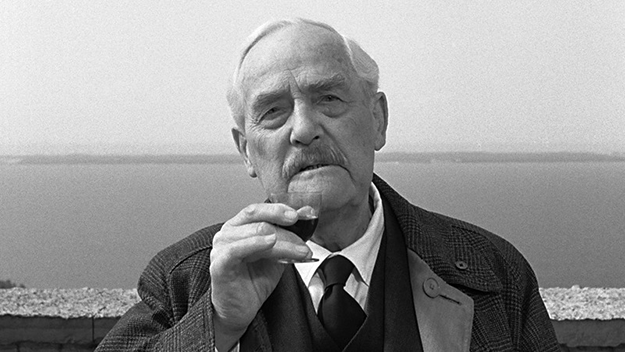 While most of his directorial career was regaled in the Silent Era, the man never stopped working (his role in Ingmar Bergman's Wild Strawberries is quite simply one of the best performances ever) and he knew the value of hard work when it came to a medium he loved. The man. 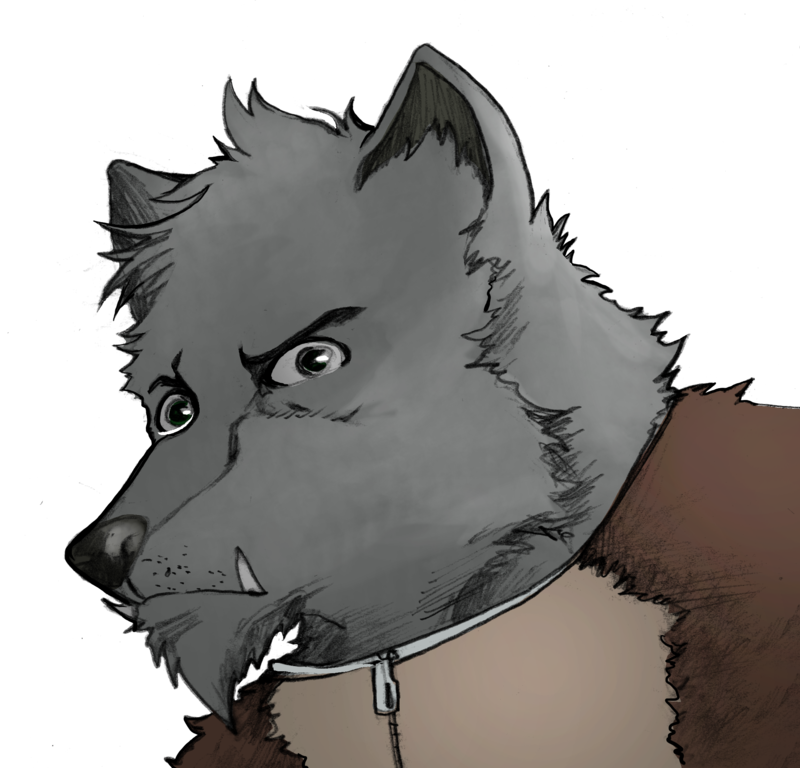 This is him. Okay, okay, I'll get on with it. 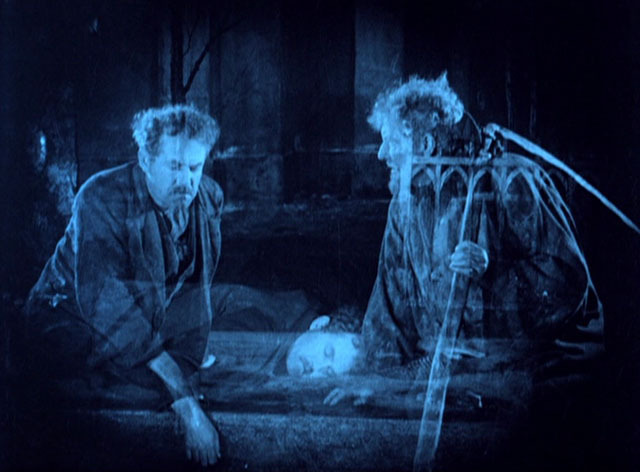 Sjöström's 1921 feature The Phantom Carriage is a paramount alm to the horror genre as well as a fable with pagan roots due to the fact that not only does it boast incredible visual effects that still to this day manage to hold up admirably, but it also possesses a deeply complex narrative that manages to tug at your emotions more than you could anticipate. The last person to die on New Year’s Eve before the clock strikes twelve is doomed to take the reins of Death’s chariot and work tirelessly collecting fresh souls for the next year and a day which also happens to be an actual pagan tenant that is still taught today. 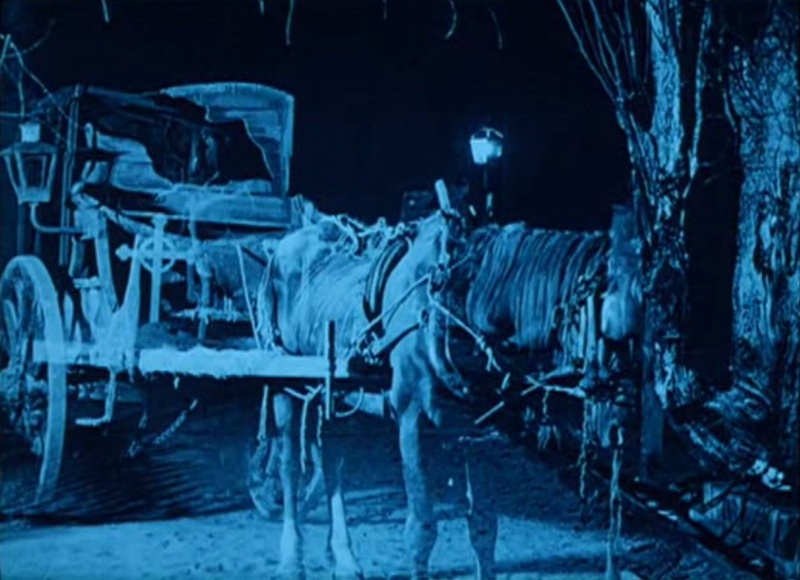 When premier ne'er-do-well David, who after living a life of bitterness, regret and non-commitment departs this world, he is tasked to drive a phantasmic carriage around the globe for a year. If the wagoner makes an epiphany they are given the opportunity to rectify their mistakes, but ONLY after their tenure is done. During his journey, he finds himself reflecting back on the life he had wasted, the opportunities he squandered and the people he shunned. Above everything else, The Phantom Carriage is more a philosophical quest than it is a fright-fest, but here is another perspective- there is no greater horror than having a wasted life. When you think about it, human life is incredibly finite, fragile and fleeting in this world, we are only given a small amount of time to do with it as we should and in some unfortunate cases, it can be cut short. 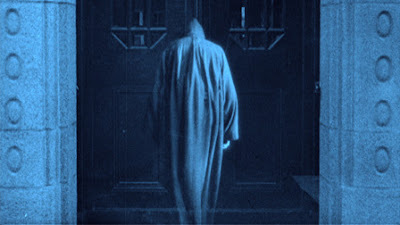 In a sense, this is a macabre version of Charles Dickens' A Christmas Carol except Ebenezer Scrooge didn't change the wickedness of his ways when he could and now all he can do is ruminate on the potential he wasted all the while living up the the massive responsibility of being the Reaper. It's a somber point to be sure, but that it is a truth we all must accept- do what you can with what you have. Victor Sjöström as David presents to us the soul of a man who starts off as being incredibly bitter and blaming but ends up being more understanding of not only his mistakes, but also empowers himself to do what must be done in order to redeem himself. It's a performance that I feel doesn't get nearly enough recognition today, most likely due to the groundbreaking visual style and motifs. In addition to Sjöström, Tore Svennberg as David's afterlife mentor and a previous driver of the Carriage, Georges, stands as a teacher as well as a companion who asks David the important questions he chose to ignore in life and there are times of which it truly does feel like he is addressing the audience as much as he is his student when it comes to affairs of mortality and the heart that beats within. Georges isn't so much a friend to David either, more like a life... err, UNlife coach who doesn't coddle his charge, rather he educates him with pragmatism than lofty notions. The Carriage is their responsibility, without them, there is no Carriage and when there is no Carriage there is no death and with no death there is no release. 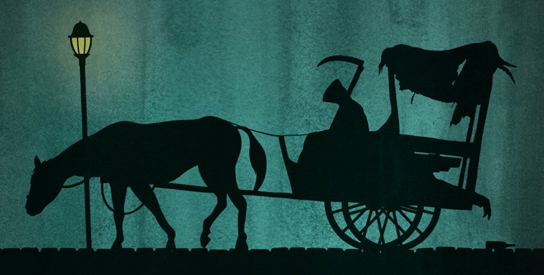 Speaking of which, the titular Carriage takes on a life and divination of it's own; it is not so much a tool but a vessel that conveys the emotion of the driver as well as the will of the afterlife. In essence, it is a living thing that may be foreboding in appearance but essential in nature. You also gotta have a look at it, moving as air, aphotic as the abyss yet ultimately simple. The Carriage is in no small part a metaphor for the nature of death; despite it being frightening to us, there is a sense of final majesty about it, inevitable, beyond the veil. We are all fascinated by this constant yet while we may know the multitude of causes, nobody knows of the final destination (that was for you, Beast). I find the best way to describe The Phantom Carriage is that it is a modern take on an ancient pagan myth that invests the necessary humanity in order to make the story strike us on an intimate level. Without David's odyssey of self-reflection and self-actualization in the realm of the departed, it would have merely been a fancy-looking shocker for the Silent Era that would have been more of a cliff-note than the true cornerstone it is. Note: Thanks for choosing to join me on my little jaunt for the past month, kind WIGS reader! Your support and interest is always appreciated and I hope some of my reviews have inspired you to check out some of these movies because while we have it in our power to think further about the future, we should never disregard our past. Silent films hold a special sway over cinema as we know it and sometimes it's really special to go back to a time where censorship wasn't a bane, artistry was bountiful and boundaries were constantly being pushed all in the name of showing the world what could be done with a camera. Happy Halloween!